One benefit that some manufacturers provide is the limited warranty at no additional charge to the consumer. Rarely do we hang onto the boxes “just in case” or many times we either toss that little receipt or have it filed away. 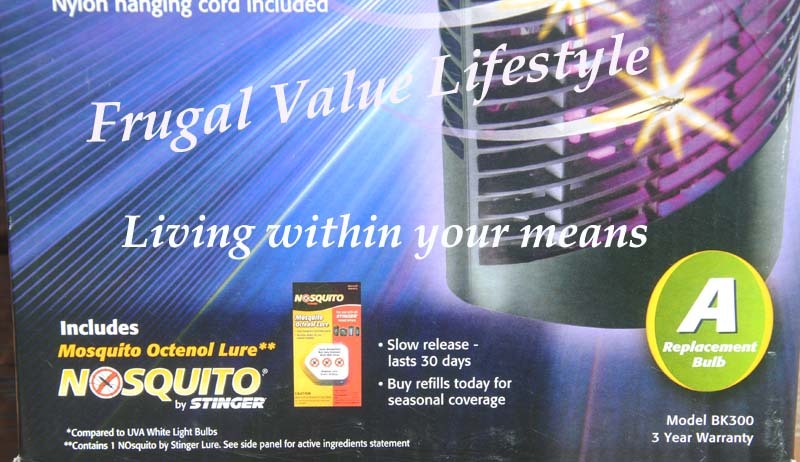 Fortunately, the bug zapper that we received as a gift last summer is something where my husband held onto the box so that it could be stored in during the winter months. So, after a few months of having it hang, my husband discovered that our work horse of last summer, was not taking care of the mosquitoes and other insects that can cause one to start swatting ones arm uncontrollably at anything resembling an insect that might bite. In reading the box I saw that it had a 3 year limited warranty. I mentioned to David that I was going to call the company on Monday to ask them about this limited warranty. To my surprise, even without a receipt, they took my complaint seriously and after asking a few questions provided me with a return authorization number. Two negatives to my initial communication was that they were not able to provide a return shipping label, and instead of taking the initiative to share the address to return the item, I was forwarded to a recording where it was impossible to clearly understand some of the address. So, as to not allow the discouragement to take hold of my day, I decided to send an email to the customer service department, sharing that it would make things much easier on the customer if they provided a return shipping label via email, and/or at least have a human communicate the address so that one could be sure that the item was being returned to the correct address. I decided to send an email, not really being certain whether someone would respond. I was totally pleased with the quick response. Within three hours, I heard back from their customer service specialist Catherine. Understanding my concern for the costs that I would incur in returning the product and my dissatisfaction in not having a clear understanding of the address to return the product, she provided me with a location closer to home saving me on postage as well as a faster turnaround experience. So, today the box was packed and shipped out. 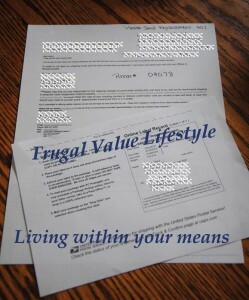 We spent $8.09 on USPS shipping, in its original box verses the potential replacement cost of $50-$60. 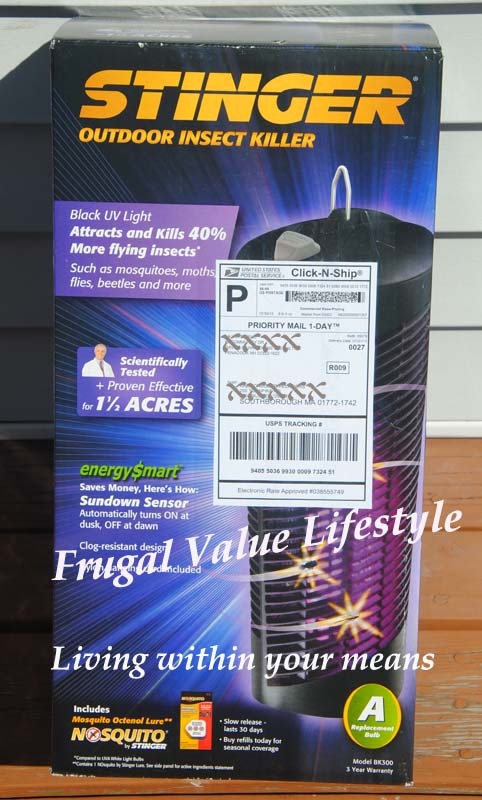 For us, even though our preference would have been to have a free paid shipping label, the cost difference in savings was worth our shipping back to the company for a replacement. They share that it is a 2-4 week turn-around, which we will wait and see. I am not suggesting that one build a shed to store boxes and receipts, but I am suggesting that when you are purchasing a product with a warranty, that you consider how you might return it if it needs to be replaced along with maintaining the receipt. For us, we did not have a receipt, as it was a gift but Kaz Incorporated worked with me on this. Clearly label all documents with the return authorization number. Be sure to maintain copies of all communications and receipt of your return shipment. Make sure you select tracking confirmation on your shipping selection. Follow-up in two weeks, with your return authorization number if you have not received any communication or the return of your product. And, always, be kind to the customer service representative. If they are arrogant and/or rude, ask to speak to a supervisor. I am anxious to receive the new replacement and hang it in place so that we can enjoy our evenings outdoors. I am trusting that Kaz Incorporated will follow through with a brand new replacement before summer is done. Yet, I will definitely follow-up on this post to share the results of this return experience. 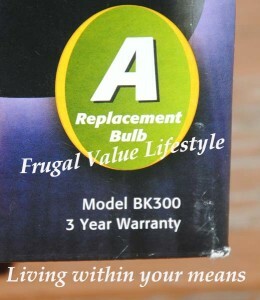 Be mindful of your money and how you spend it, utilizing the warranties a product you purchase carries.